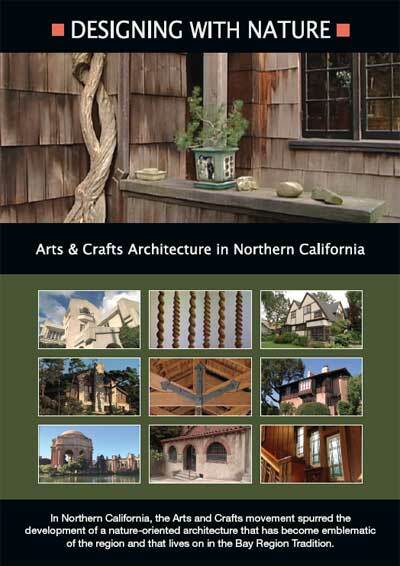 Designing with Nature provides a vivid account of a pivotal chapter in the architectural history of Northern California. Set in the late 19th and early 20th centuries, the documentary examines the work of several major architects who were influenced by Arts and Crafts ideals, as well as by the reformist ethos of the Progressive Era. These designers sought to create an architecture suited to the landscape, climate, and emerging culture of the region. Rejecting Victorian excess and the artificial separation of art and craft, they strove to create an organic architecture based on unified design and harmony with nature. The resulting design sensibility has become emblematic of the region and lives on in the Bay Region Tradition. Architects featured in Designing with Nature include Bernard Maybeck, Julia Morgan, Ernest Coxhead, Willis Polk, A.C. Schweinfurth, John Galen Howard, Louis Christian Mullgardt, John Hudson Thomas, and Henry Gutterson. The influential Arts and Crafts advocates Joseph Worcester and Charles Keeler are also discussed. Storytellers seen in the documentary include art historians Robert Judson Clark, Richard Longstreth, Kenneth Cardwell, and Richard Guy Wilson, writers Leslie Freudenheim and Susan Cerny, Swedenborgian scholar James Lawrence, architectural guide John Gaul, and home owners Carol Ann Rogers, Polly Moore, and Marilyn Thomas. Designing with Nature was written, produced, and directed by Emmy Award-winning producer Paul Bockhorst in cooperation with the Berkeley Architectural Heritage Association. The documentary is narrated by Richard Doyle. Original music is by Paul Morehouse. John Rogers did the principal photography. Major funding was provided by The Ahmanson Foundation, the Graham Foundation for Advanced Studies in the Fine Arts, and the Fleishhacker Foundation. Running time is 86 minutes.